After Sen. Kai Kahele posted a picture of syringes found at Hilo Bayfront Soccer Fields on Facebook that he received from a friend, the County of Hawai‘i is taking action and Mayor Harry Kim is creating a task force to deal with the rising problem of needles being found throughout the island. “A friend sent this to me yesterday, their kids had soccer practice in the afternoon…needles by the Hilo Bayfront Soccer Fields bathrooms,” said Sen. Kahele in a Facebook post. 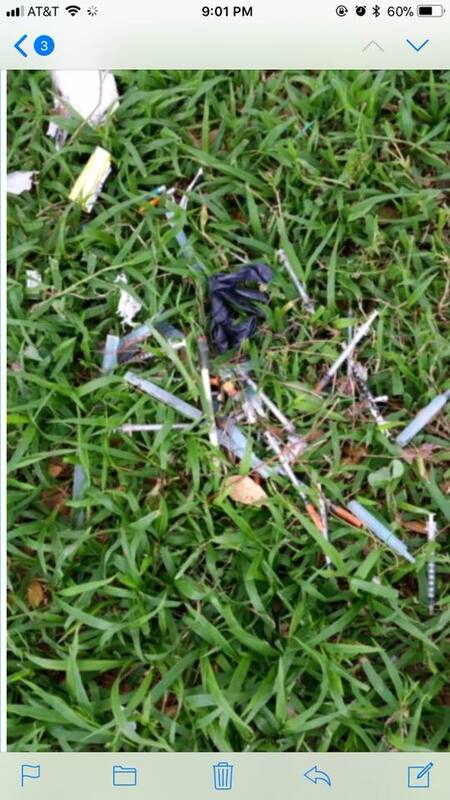 The County of Hawai‘i is asking the public to report discarded syringes or needles to the Hawai‘i Police Department, while avoiding touching or handling the hazardous waste items. An on-line form to report discarded syringes and needles has been created, to facilitate safe retrieval. The form is posted on the county’s website here. The form is simple to fill out. People who find syringes or needles give the location and time of discovery. Information as to the person’s name and phone number is optional. People who find syringes or needles may also call the police non-emergency number at (808) 935-3311 to report. No one besides trained staff should touch or handle this hazardous waste, which could be drug-laced or infected. The county is also developing a program involving the installation of “amnesty sharps disposal bins,” which are tamper-proof boxes for the disposal of syringes or needles. The bins will be installed at public restrooms at parks and other facilities, similar to the receptacles found at airports in Hawai‘i where contraband fruit or meat can be disposed of without penalty. For further information, call Leilani Maxera of the CHOW Project at (808) 852-3273. 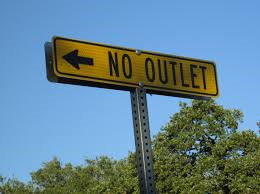 The Hawai‘i Department of Transportation (HDOT) announces that it is discontinuing the trial “no outlet” restriction from 29th Avenue (also known as Poni Moi Avenue) onto Kea‘au-Pāhoa Road (Highway 130). This restriction, which sought to improve the efficiency of the highway by limiting the side street connections, was put in place Wednesday, Feb. 14, 2018, and concluded Tuesday, March 6, 2018. The HDOT Highways Division, Hawaii District is currently exploring other options to increase efficiencies along Kea‘au-Pāhoa Road. More information on upcoming operational improvements will be made available at a later date.